Evergrande Health is a subsidiary of Evergrande Group, China’s third-largest property developer by sales. The Hong-Kong-based company seems to be making a decisive and rapid entry into the burgeoning arena of electromobility. 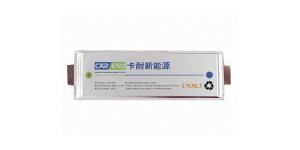 The latest acquisition, Cenat New Energy focuses on a ternary pouch type power battery. The company has a global R&D team of over 300 experts, a technical team of around 1500 personnel and four major production bases located in Shanghai, Jiangxi, Guangxi and Jiangsu. Evergrande’s move into electromobility only started in June of last year, when Evergrande firstly invested in Californian startup Faraday Future. The Hong-Kong company quickly followed up in September last year, with the announcement of a strategic cooperation agreement with Xinjiang Guanghui Industry Investment Group (Guanghui Group), one of China’s largest car dealers. These two Chinese companies agreed to jointly develop businesses in car sales, energy, real estate and logistics, among other areas. This deal made Evergrande into Guanghui Group’s second-largest shareholder. Then just a few weeks ago, in mid-January of this year, Evergrande made the acquisition of a majority stake in National Electric Vehicle Sweden (NEVS). Not stopping there, NEVS – i.e. Evergrande – just this week itself acquired shares in the Swedish electric hypercar-maker Koenigsegg. In a very busy January, the company also founded a new subsidiary called Evergrande Smart Charging Technology for charging infrastructure, covering the NEV charging pile, R&D of software technology, as well as design, operation and other services related to charging infrastructures. 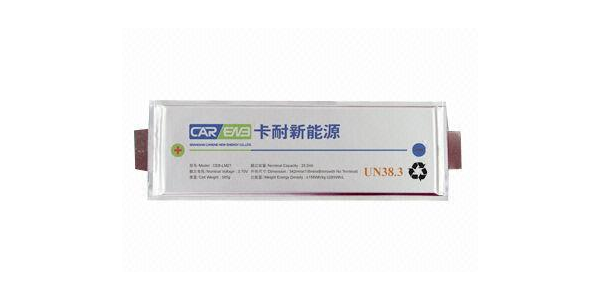 Now, the most recent pearl in Evergrande’s string of e-mobility investments has been to acquire control of the Chinese battery manufacturer Cenat New Energy. Evergrande has acquired 58 per cent of the shares of the battery manufacturer. With the above-mentioned four production facilities in China, Cenat supplies SAIC, Dongfeng and Changan, among others, for the equivalent of around 138 million euros. Evergrande intends to increase Cenat’s annual production capacity to 60 GWh over the next ten years.